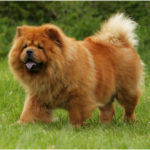 Chow Chows is a breed of Dog which originated from Northern China where it is known as Songshi Quan meaning puffy Lion dog. These are one of the most ancient dogs nearly 2000 years old. 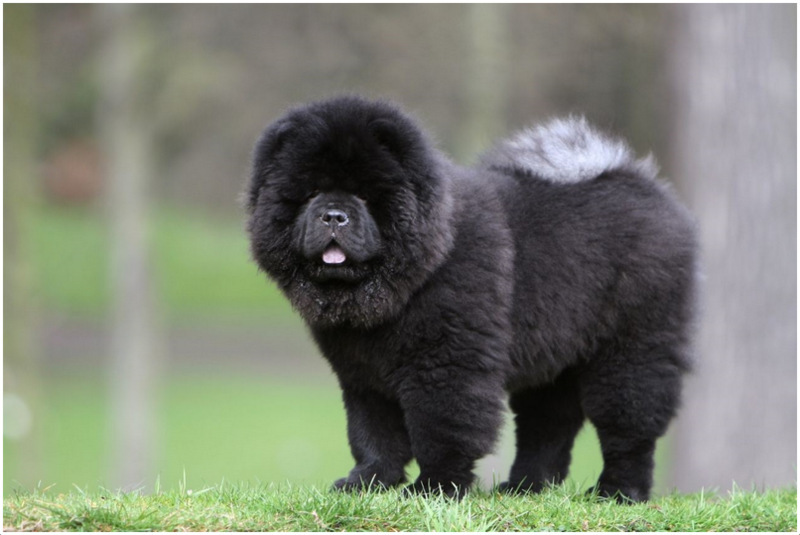 Chow is large distinctive looking breed which has the traits of lion, panda, cat, teddy bear and a Dog. They are noble, appealing, graceful, devoted and loyal. Chow can be a good companion but are definitely not a cuddly dog. Ancient breed: These Chinese breeds are very ancient estimated about more than 2000 to 3000 years old. Some stories suggest that they are hybrid of Tibetan mastiff and Siberian Samoyed. There are many other stories that are related to the existence of Chow. Working Dogs: In the earlier days Chinese trained Chow Chows for different purposes like hunting, guarding, pulling, herding etc. Their fur were used to make coats and they were also bred to be eaten. Extra tooth: Chows have two extra teeth in their mouth. Almost all dogs have 42 teeth but chow have 44. Unique colored Tongue: When Chows are puppies their tongue is pink in color. 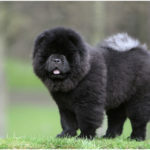 When they grow it becomes darker, but a grown chow will have a tongue which is blue black in color and it looks like Lizard tongue. Chinese Shar-Pei is the only another breed of dogs that sports such type of tongue. 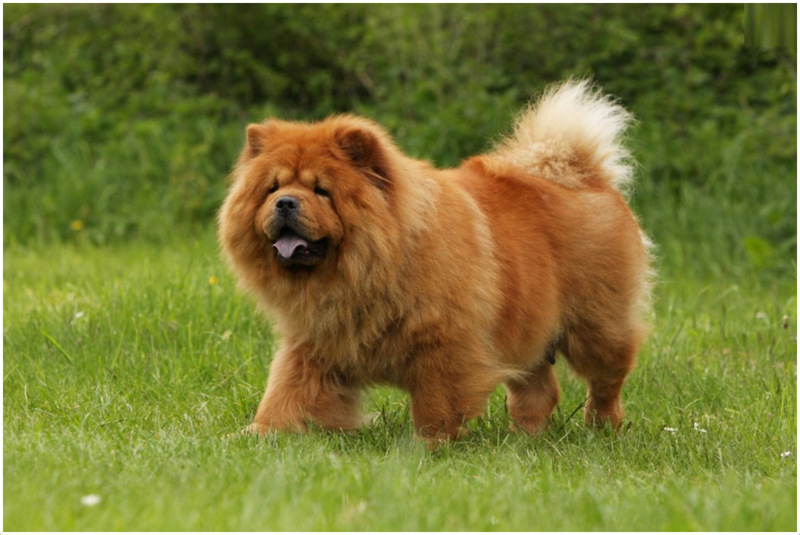 Color and coats: Chow chows are available in 5 different colors. They are blue, red, cream, black and cinnamon. Their coat may vary from rough to smooth. 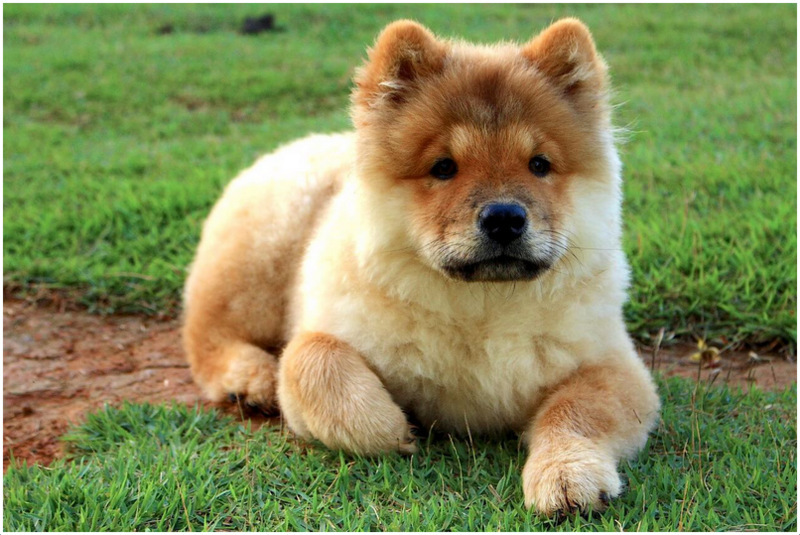 Water issues: Chow Chows have double fur coat which is a cause of risk when you take them to the pool or beach side. The fur can turn heavy when wet and can weigh down the dog. If you are unsure about swimming skills of your dog it is better to keep them away from such trips. Insurance cover: Due to their aggressive behavior many insurance company do not cover their owners. These breed are known to be one person dog. They will love and protect their owners only and will behave aggressively and rude with others. Popularity: As per the registration with the American Kennel club Chow Chows rank 69th in terms of popularity in United States. It is very important to feed the dog according to their breed. Protein is the most important component of every Dog’s diet and is the same for Chow too. Poultry, Fish and other dog protein can be fed to Chow. Fruits and vegetables can also form a part of Chow diet if given in less quantity. 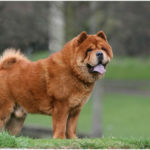 The digestive system of Chow Chows is very sensitive, hence it is important to feed them in small quantities and frequently and also keep a check on their tummy. You can also feed rice, soy and meat to Chow as well. Slowly introduce new foods. If you are introducing a new diet consisting of chow specific foods then introduce 25% of it by replacing the old diet of that equal quantity every week. Also remember the fact that Chow Chows needs less food and more of exercise. Chow Chows are very protective towards their owners and their house. They are suitable for apartment, condos or even houses. They are inactive indoors and lazy and hence require sufficient exercise outdoor. Chows love cold weather and tends to be irritated during summer. Chow Chows are very obedient and easy to train. They are good towards children and other pets too. 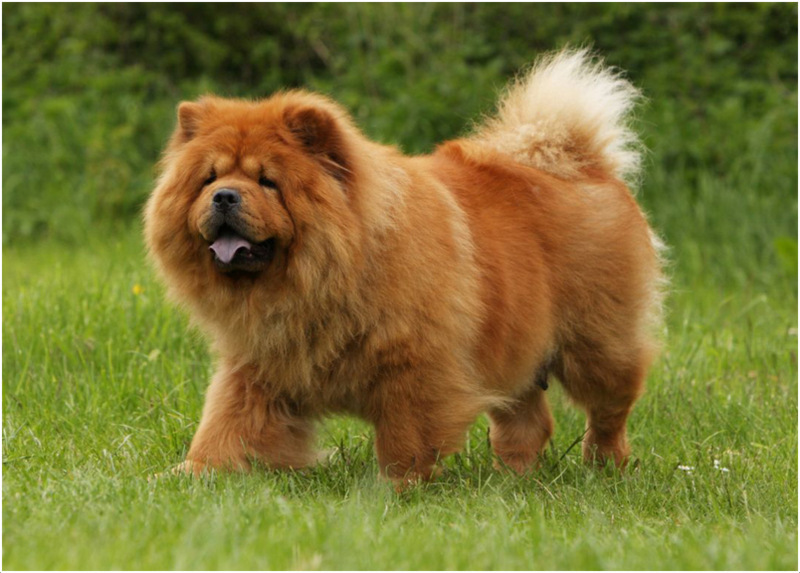 The Life expectancy of Chow Chows is about 15 years. 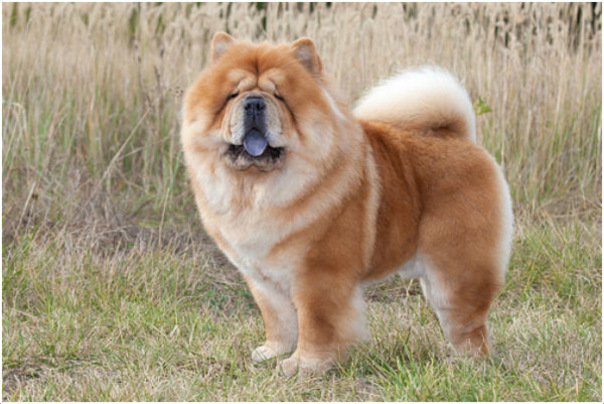 The female Chows can give birth to about 3 to 6 puppies. Puppy Chows have pink tongue when they are born. At 8 to 10 weeks it gets darken to blue black. 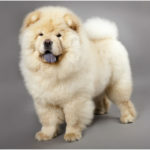 Some Chows have splashes of pink or spots on their tongue. As they age their tongue may turn pink. Chow Chows are of suspicious and protective nature. 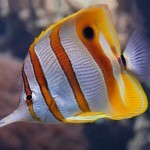 They become dominant and tend to show behavioral patterns such as jealously, aggression, guarding and overprotection. They need strict training without any physical abuse. If proper training and socialization is not provided to this breed then they may turn aggressive. It is always advisable to never leave a Chow without a leash. They may harm others as they are fiercely protective. 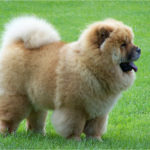 Chows are considered as the ancestors of many breeds that are prevailing today. Chows belong to the family of Spitz including Siberian husky, Malamute, Samoyed, Shiba Inu, Akita, Keeshound, Norwegian elkhound, Pomeranian etc. They share similar physical attributes such as upright triangular shaped ears, dense coat, body structure and back tail carriage. If a Chow has pink tongue then they are more likely to be a mixture of any other Spitz breed and may not be a Chow Chows. 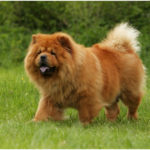 Chow Chows are medium sized sturdy dog with a large broad head and flat skull. The muzzle is deep and broad. 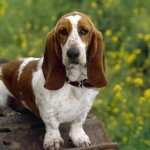 The ears are erect and triangular shaped with a rounded tip. The eyes are deep and dark in color. The tail is high and carried near to the back. The coat is profuse, furry and dense and is either smooth or rough. 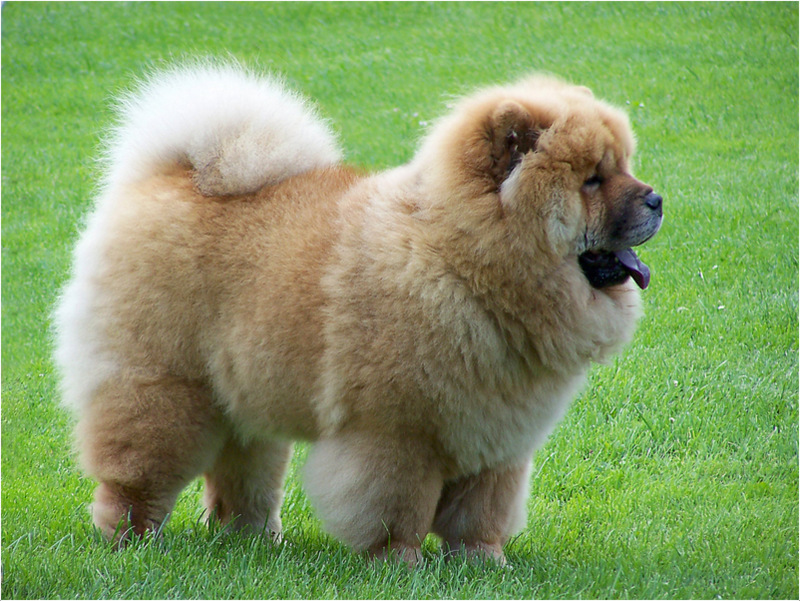 Height of a Chow varies between 18 to 22 inches and weighs about 45 to 70 pounds. 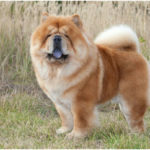 Chows normally have a thick coat over their body and a soft undercoat. They have thick hair around their neck and head. The tail too has thick fur. 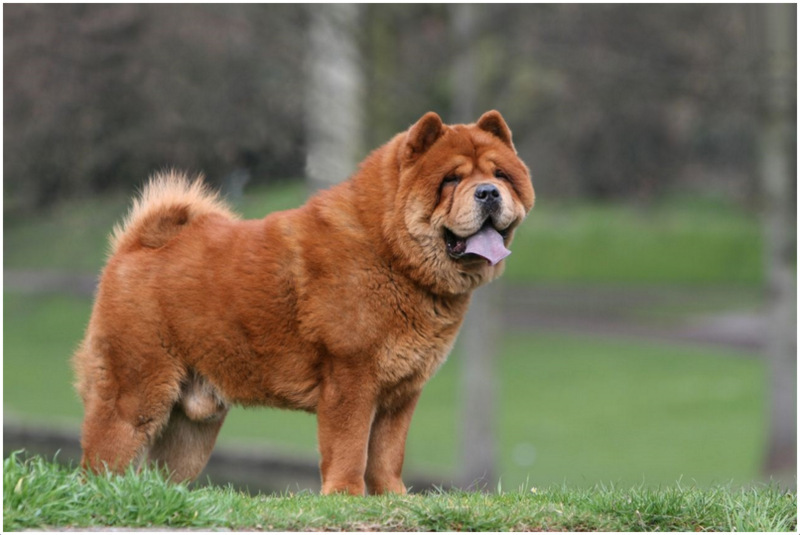 It is important to be aware about the health conditions that Chow Chows can affected with. This may include elbow dysplasia, hip dysplasia, and thyroid disease and patellar luxation. They may also have ocular disorder like ectropion and entropion. When buying a Chow it is important to get health clearances from the Canine Eye Registry Foundation (CERF) to certify that their eyes have no issues and the Orthopedic Foundation for Animals for hips. Health issues normally occur after 2 years and hence these certificates are not issued for puppies. 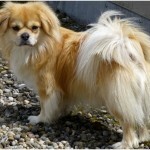 It is important to brush the coat of this breed to maintain a good condition of their coat. The coat needs to be brushed at least 3 times in a week using a slicker brush or a pin brush or a fine toothed comb. This will remove the lose hair from their body and will also prevent dog smell. Chow Chows are seasonal shredders and extra precautions and brushing must be done during that season. They should be bathe at least one time monthly. Their coat should not be brushed when they are dry or else their hair will break off. According to the suggestions provided by the veterinarians the toe nails of Chow Chows should be trimmed either bi weekly or weekly using approved cleansers. The teeth of this breed also needs to be brushed twice or thrice a week. 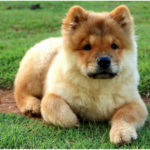 Chow Chows are agile, stubborn, dominant and independent breed. With proper training, socializing and exercise they can be well behaved and obedient. Socializing is important for puppies as it help them to accept new people and become calm and polite. They should be kept and trained with respect and love which they will return endlessly.